Matt Baldwin begins with a story about Gordie Howe's sister in small town Saskatchewan. From there we head to Saskatoon and then Edmonton, where he (eventually) graduates with a degree in a new program for petroleum engineering. Matt's curling begins during wartime, develops through university, and in the winter of 1954 he's able to convince a local rival to join forces in playdowns with hopes of reaching the first ever Edmonton Brier in 1954. At 27, Matt became the youngest Brier winning skip (a title now held by Kerry Burtnyk). He returned to the Brier in 1956, but the long train ride to Moncton, and frequent visits to the Beaver Club, may have hindered his chances. In Part 1, Matt shares thoughts on the early days, explains his famous long slide in the 1954 Brier and reveals tales from the 1956 and '57 Macdonald Briers. 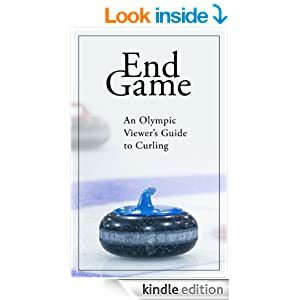 For more on Matt Baldwin check out: "The Brier" by Bob Weeks, "Curling: The History, The Players, The Game" by Warren Hansen, and "The Stone Age" by Vera Pezer. Curling Canada has historical videos from the 1954, 1956, 1957 and 1958 Macdonald Briers available on YouTube. Paul Gowsell had irrational confidence from an early age. While other junior curlers were learning the game by challenging their peers, Gowsell was taking cash and cars from the best teams in the world. When Neil Houston and Glen Jackson graduated from Team Gowsell's junior ranks after their Uniroyal World Championship in 1976, they continued as part of Paul's bonspiel team, even while he and lead Kelly Stearne picked up John Ferguson and Doug McFarlane to win the '77 Canadian Juniors and '78 Worlds. These Gowsell rinks became infamous for their long hair, beards and crazy pants, but also for ushering in the hair broom era and initiating the rapid end to the corn broom. Paul shares stories from those junior championships and traveling in his van to cashspiels across Western Canada. You'll hear about the party at the Van Winkle hotel, the brushing controversy in Scotland, Revenue Canada's attempts to tax curling, dealing with the RCMP and tips on how to beat corn broom teams. You can find more on Paul Gowsell in "The Curling Book" by Ed Lukowich, with Rick Folk and Paul Gowsell, Jean Sonmor's "Burned by the Rock" and "The Brier" by Bob Weeks. Video from the 1976 World Junior Championships can be found at The Curling History Blog. Rod Hunter now resides in Viking, Alberta, made famous for a local family with six brothers who all played in the NHL. Rod, AKA "The Arrow", found his curling fame in Manitoba, where he qualified for the Brier 4 times from 1970 to 1975, winning twice as vice for Don Duguid. That same Duguid rink also captured back-to-back Air Canada Silver Broom World Championships in 1970 and '71, going undefeated in 17 straight games. Rod will share his experiences from those events, the near misses in other seasons, explain why he originally changed from a tuck slide to flat foot and reveal the origins of the Bauer curling shoe. You'll hear how that Duguid championship run nearly never happened, the reason they stopped at their peak, and how they reunited for the 100th MCA (World's Largest) Bonspiel in 1988. After our talk, the microphone kept running and we captured a few extra stories at the end of the show, including Rod's memories of Warren Hansen, Ken Watson, the Richardsons, the other trophy awarded at the Silver Broom, "Soupy" Campbell and a great version of the "Orest meets Ernie" story from 1963. You can find more on Rod Hunter in "The Brier" by Bob Weeks and Sean Grassie's "King of the Rings". Watch him on YouTube at the 1971 Brier , the 1973 Brier, and from a ceremony from years ago in Duguid Team Speech. Ed Lukowich has been there in Curling. "Fast" Eddy has been central to some of the greatest shifts in the history of the game. He learned to curl in Speers, Saskatchewan, back while the sliding rules were being shaped. Four decades later he won the Moncton 100, the no-hit bonspiel that ushered in the Free Guard Zone era. From the Richardsons to Kevin Martin, he's battled Legends from every living generation. In 1973, with a chance to join a young Paul Savage, Ed may have been one of the first players to move across country solely for a curling opportunity. You might be surprised to hear who Ed nearly replaced on that Ontario squad (rhymes with wrench). In 1978, Ed took advantage of new rules that allowed a Calgary player to team with his Medicine Hat rink, and with Mike Chernoff captured the Macdonald Brier in Vancouver. They also won the event with horsehair push brooms, a first, and with Mike calling the game while Eddy threw fourth stones, something not commonly seen back then. 1988 saw Ed become the first ever mens skip to represent Canada in an Olympics, when curling was a demonstration sport at the Calgary Winter games. Controversy over provincial residence has often been an issue in past seasons, and Ed was embroiled in it in the early 90s when second Rick Vallette shifted his playdown efforts from Saskatchewan to join Lukowich in Alberta, and also during the Merv Bodnarchuk era in BC. Ed's efforts hatched a professional curling league which eventually became the World Curling Tour and he later became one of the early Canadians to assist a foreign nation in curling, becoming an advisor to USA during the early part of the new century. Ed's book "The Curling Book" started many youngsters on the path to the roaring game. He now writes Science Fiction and you can find out more at http://www.trillionist.com/. Ed's Curling Tips Video bring you back the 1980s and for a read on Merv Bodnarchuk, check out "Merv Curls Lead". You can also watch Eddy in the 2016 Canadian Masters final. No surprise, "The Brier" by Bob Weeks and Jean Sonmor's "Burned by the Rock" are essential reading for more on "Fast" Eddy Lukowich.